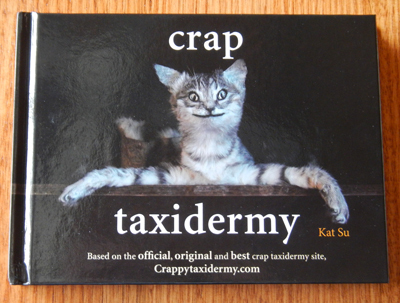 Featuring the ‘best’ of the worst from Kat Su’s popular website crappytaxidermy.com, this book highlights some of the most atrocious taxidermy efforts from around the world. The animals, which range from large cats and other wild beasts to domestic creatures, have been manipulated, stuffed and arranged in a variety of poses and settings, and you won’t know whether to laugh or cry when you see some of the images that have been collected. Both horrifying and disturbing, the images come from places as far-flung as Ulan Bator in Mongolia to the metropolis of New York, and all are guaranteed to make you cringe. If this book is inspiring enough to make you want to attempt your own taxidermy creation, then the illustrated mouse-stuffing guide at the back of the book could be quite handy, although I wouldn’t recommend it for the squeamish. This gift book is quite disturbing and depending on the recipient, you may have either a winner or a disaster on your hands. There are a lot of books out there that show you how to write the perfect resume- this is the one that shows you how NOT to write one. Jenny Crompton has compiled a terrifying collection of cover letters and CVs, and spoken to people from HR offices who have dealt with some quite remarkable job applicants. Nearly all of the CV entries will make you cringe- there are applicants who are egotistical, over confident and extremely desperate, and there are some who are uninterested or appear less than impressive. Many of the applications feature poor grammar and numerous typos, and some look as though they have been churned through an online translating program by foreign-speaking applicants in an effort to ‘speak’ flawless English. You won’t believe some of the things that people have written while applying for jobs- some people just don’t have any filters- and after viewing this book, you’ll understand why many of them have been unemployed for so long. 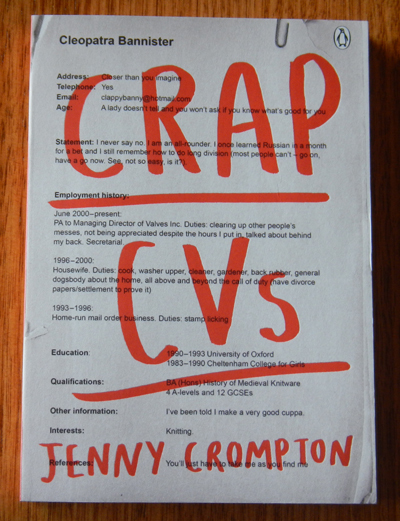 This gift book is good for a laugh, and you won’t be disappointed by the poor quality of the CVs that feature in it. The crap taxidermy website is pure genius and always good for a laugh!